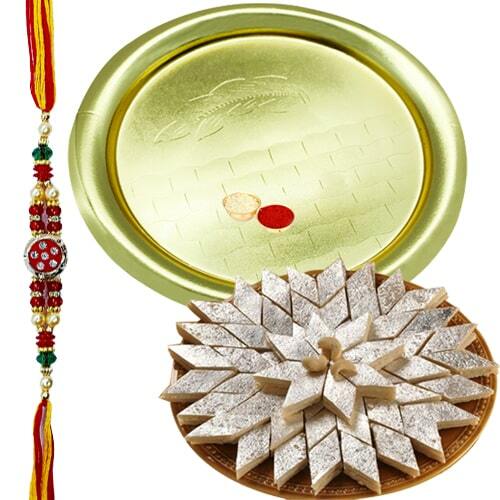 Complete your preparations for a grand Raksha Bandhan celebration by ordering for this Auspicious Gift of Glorious German Silver Golden Plated Thali along with Crunchy Kaju Katli of 100 Gms from Haldirams which comes along with a free Rakhi, Roli Tilak and Chawal to make it grander. The size of the Thali is 5 to 6 inches. The formation of the Rakhi may differ.